Who is Lou Dobbs? His Wife, Children, Family, Bio, Where is He Now? Lou Dobbs is one television personality who has been around for a very long time, he was with Cable News Network (CNN) at its inception in the year 1980 and was with them for much of the time through the first decade of the new Millenium before he left to further his career elsewhere. Lou has over the years built up an impressive profile to be recognized as an American television commentator, radio show host, a television program anchor as well as an author. Find out below in his bio, how he was able to do all that, more about his family and what he’s been up to in recent times. Bio – Who is Lou Dobbs? Lou was born a very long time ago in the year 1945 precisely on September 24 in Childress County, Texas, the U.S. as a son to Frank Dobbs and his wife Lydia Mae (née Hensley). His full name is Louis Carl “Lou” Dobbs and he spent the remaining part of his childhood in Rupert, Idaho where he schooled at Minico High School located in Minidoka County playing tackle in the school football team. Following his graduation from high school, Lou Dobbs enrolled at Havard University to study economics and subsequently graduated in the year 1967 with a Bachelor of Arts degree in economics. The Havard trained Economist kicked off his media career properly with a job in Yuma, Arizona as a police fire reporter for KBLU radio station in the early 70’s. Prior to this, he worked with the federal anti-poverty programs in Boston and Washington, D.C, briefly attended UI College of Law in Moscow, Idaho and was a cash-management specialist for Union Bank of California in Los Angeles. Louis Carl “Lou” Dobbs joined CNN when it launched in 1980 as its chief economics correspondent and host of the program Moneyline which covered business and financial news. Moneyline was successful as the leading business programme on air then and this success without a doubt put Lou Dobbs forward as one of the best journalists in the field as it pertains to financial news. Within 4 years of joining CNN, he rose to the position of vice president and managing editor of financial news. He also worked as a corporate executive for CNN and was a member of CNN’s executive committee before he exited the news network following his differences with Rick Kaplan who became CNN president in 1997. 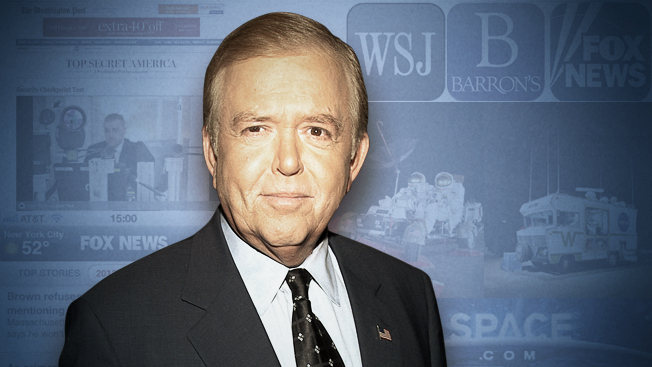 When Dobbs exited, he was replaced with Willow Bay and Stuart Varney on Moneyline as he began working on Space.com – a website devoted to astronautical news. However, his exit from CNN was not one that would last forever as he returned to the media house in the year 2001 following the exit of Kaplan in the previous year. Lou then went on to work with the news organization from then till 2009 holding several positions along the way. Following his self-willed and second exit from CNN, he began pursuing a career on Radio from 2009 through 2012 with Lou Dobbs Radio on United Stations Radio Networks. The phone-in radio show aired daily across several stations as they discussed political matters on the program. Within this time (2010), Lou Dobbs began working with Fox Business Network as a host of Lou Dobbs Tonight on March 14, 2011. He has also been making regular appearances on various shows with other news networks such as CNBC’s The Kudlow Report and The O’Reilly Factor on Fox News Channel. 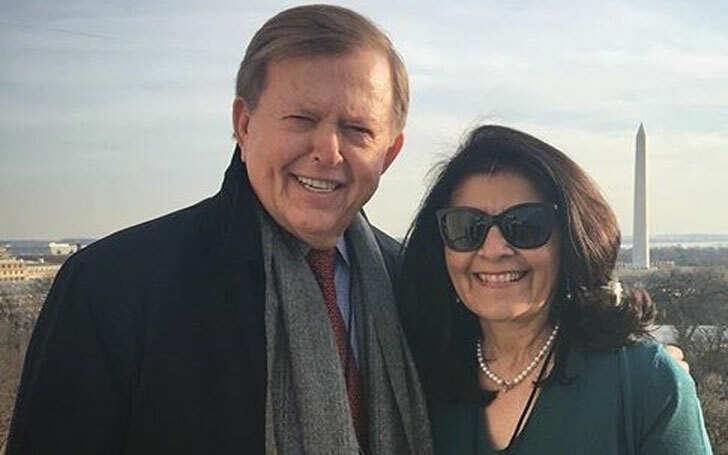 Lou Dobbs was first married to his high school sweetheart Kathy Wheeler in 1969 and in the year 1970, their son was born. The union between the two lasted for 12 years before they called it quits. Unfortunately, the name of his first son is yet to be verified. After the end of his first marriage, the television personality got married to Debi Segura in the year 1982. Their marriage has been very fruitful as it saw to the birth 6 children who are now all adults. They are Hilary Dobbs, Jason Dobbs, Chance Dobbs, Michelle Dobbs, Heather Dobbs, and Buffie Dobbs. To date, Lou and Debi; a former CNN sports anchor have remained dear to each other with no rumors trailing their union. Lou Dobbs is very much still with us, he has remained visible in the political discuss of policies in America and for his pro-Trump views, many have termed his opinions on issues controversial. He holds anti-immigration views for which reason he has been accused of being Hispanophobia. He denies this, stating that his wife is Mexican-American. Dobbs has also been very vocal in defending President Donald Trump‘s policies and style of leadership. Particularly in July 2018, Lou defended the president’s decision to ban Kaitlan Collins from press events in the White House. He also sided with the president around September 2018 about the number of victims of Hurricane Maria asserting that the actual number was inflated to discredit Trump’s administration, just like he equally termed the October 2018 bomb attempts targeted at CNN and some Democrats as ‘fake news’. The seasoned American television personality is a regular columnist on New York Daily News, U.S. News & World Report and Money Magazine.